Legendary singer/songwriter BENNY MARDONES and HOLLYWOOD SCARS, (a project formed in 2016 by JAMES DURBIN and ALEX GROSSI) have recorded a new version of the MARDONES classic "INTO THE NIGHT" to aid C.R.I.S.P. (Chicagoland Rescue Intervention Support Program). "Many have tried to capture the soul of my beloved "Into The Night" over the years" saysMardones. "I had NO idea what to expect when I received the track . James's vocal take is near perfect and Alex's stellar guitar playing really takes it to a whole new level. "Helping animals and rescue organizations has always been something I do whenever I can, as do both James and Alex . I could not be happier and cannot wait for my fans to hear what we have done, and help a cause that I hold very dearly"
Grossi states: "We had both always liked the song, it's one of those hooks that is simply lightning in a bottle. We had some extra studio time one night during the "Hollywood Scars" sessions and decided to take a shot at a more "Rock" version of "Into The Night". We ended up finishing it as a labor of love with some amazing help from our close friends"
Adds Durbin: "We sent a rough mix to Benny Mardones himself, with no intention of it ever seeing the light day. We immediately connected via email and after a few files being sent back and forth, came up with a version that we are all proud of. I am even prouder that we can use it to help out a great charity like C.R.I.S.P." "Into The Night" is unusual for being one of only 10 recordings in history to ever ascend to the top 20 of the Billboard Hot 100 chart twice. The chartings, in 1980 and 1989, were of two similar but separate recordings. Written and composed by Mardones and his writing partner Robert Tepper (best known for his hit song "No Easy Way Out" from the Rocky IV Motion Picture Soundtrack), "Into the Night"earned them a GRAMMY nomination, and to this day is one of the top 25 most played songs in the history of American radio. It has also been recorded by USHER, as well as sampled by many artists over the years. "INTO THE NIGHT 2017" was recorded, produced, edited and mixed by Rick Vierra at Rocker Studios in Santa Cruz, CA and AJ St. James at Desert Moon Productions in Las Vegas NV, with production by Benny Mardones himself. The track includes drummer and producer Gregory Gendron, ENUFF Z' NUFF Bassist Chip Z' Nuff, and was mastered by Anthony Focx, known for his studio work with AEROSMITH and BUCKCHERRY. C.R.I.S.P. is a coalition of rescues, shelters and advocacy groups. Donations are made through One Tail at a Time and earmarked to be used for CRISP services only. One Tail at a Time is a 501(c)(3) organization and your donation is tax deductible. Benny's back in CNY for his upcoming show on Saturday, August 3rd 2013. Benny appeared this morning on Weekend Today In Central New York on WSTM, Channel 3, in Syracuse, NY and spoke about his brand new upcoming CD. 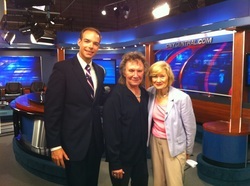 Benny Mardones is making a special trip to Syracuse to headline an event to benefit the Carol M Baldwin Breast Cancer Research Fund of CNY. Benny Mardones and The Hurricanes will perform along with 6 other bands at Sharkey’s on Oswego Road in Liverpool on Saturday, August 3rd. Dubbed “Benny’s Backyard BBQ Bash,” the day long event will kickoff at 1pm and feature music on stage as well as a Chinese auction of 100 items. Fans can get free tickets in advance of the show at Romano Subaru, located at 960 Hiawatha Blvd W Syracuse, NY 13204. On the day of the show, tickets will cost $5 and up. Each fan is welcome to donate more to the Baldwin Fund. Elizabeth Baldwin, Executive Director of the Carol M Baldwin Foundation of CNY, Inc, adds, "We are so happy to be involved in an event like this. Both Benny and the Baldwin Fund mean so much to the people of Central New York, this is a perfect marriage." Also on the bill with Benny Mardones and The Hurricanes, Todd Hobin, Mike McKay, Ben Fiore, The Rigbys and more local talent. Benny Mardones is best known for his two-time top ten smash hit, Into The Night. The song, originally released in 1980, is still one of the most played songs on radio all over the world. 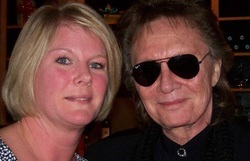 To his fans in Syracuse, Benny is known for other hits such as Sheila C, Heart in My Hand, Mighta Been Love and many more. Mardones has sold millions of records and played to millions of fans all over the world, but Syracuse is where his heart always is. ARTISTS, IT CHANGED MY LIFE"
It was 1993, I was just 17 yrs old and out with a few friends for the night at the Stittville Field Days right here in Central New York when to my surprise we ran into my parents. 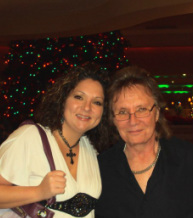 My parents rarely went anywhere, so it was quite the surprise, when I asked them what they were doing, my dad said his boss had given him tickets to see Benny Mardones. As soon as you started playing, I joined my parents, my friends left and my love for you and your music began. My dad worked as a truck driver for a company called Herkimer Wholesale, which was owned by Jim Button. I never knew him, but my dad was a hard worker and he knew we had it rough, he always helped us out with tickets if he could. My dad sold alot of Glacier Ridge for him! We started as a family, my parents and myself with my two sisters going to every Christmas Show at the Landmark Theater, and then when I was old enough, I went to all your summer shows at Pfohl's or wherever you happened to be playing. I have so many memories from all of these shows, countless memories....things you may have said, or done, or something unique or special about that show in particular. I think you said it best on the interview you did in Syracuse right before the Palace Theater show. You said "There are songwriters, and there are composers. Songwriters write songs, and composers write stories. I am a composer. 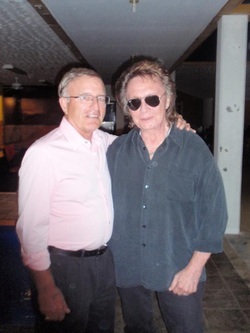 If you want to know what is going on in Benny Mardones' life, just listen to my music." Your music has always told a story, no matter what the context the song was about, love, loss, death, lessons learned... I think that's why people relate so well to your music, we all have experienced in some way the stories that you tell. They find a place in our heart and touch upon something in our life that meant a great deal. So thru all these years and shows, I've listened to you into each song with a small snippet of information about the song. Some shows you have said less, some shows you have said more. Sometimes you have performed a new song live and I've been able to hear a new story, but always I've been able to relate to what you were feeling when you wrote that song because of how you introduced it. That made it very personal to me. When all the advertising was going on for Songs and Stories, Dec 3rd at the Palace, I heard or read something that said something to the effect of .... and for the first time Benny will tell you the true story behind his songs. When you came on stage and began the show you said something similiar that you werent going to hold back, you were going to tell the truth. I have to be honest, those statements filled me with fear almost. I felt like, wait a minute, I've believed for almost 20 years in everything he has said and it may not be the truth? So for my review of your show, the absolute most enjoyment and biggest smile I received was listening to each and every story from start to finish and knowing that thru all the years you have always told the exact truth, you just now were able to take the time to tell the whole story start to finish and even added a few extras that were just incredible. You are able to convey every sense of the human spirit and emotion, and tell the story like you are talking to me, not an audience. I'll always remember "Benny Mardones, Into the Night, Pass that Joint..."
Musically, you sounded incredible as always! I am most happy to see you happy though. To hear you talk about marriage and your love for Jane. 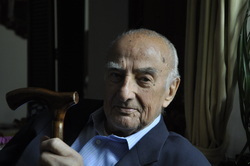 To hear you share words of wisdom from a lifetime of experience. Lastly, I felt it was such an honorary thing for you to say to the audience "Don't ever feel bad for Benny Mardones' career, I made the decisions I made." It takes a strong person to own up to making mistakes, but a wise person to learn from them and share that knowledge. My dad to this day can never understand why you weren't a bigger star. I wish he was at that show to hear those stories and understand. for the SIDS Golf Tourney that was held in memory of our Angels. the trailer so you could give me the CDs and we had a couple of pictures taken. the truck, was (still is) a close family friend. education for the public to reduce the risk of SIDS. the peace that song brings to me. happy and healthy years ahead for you, I pray. I am pleased to announce that Benny Mardones wed his long time fiancee, Jane Braemer, this morning at the historical Breakers Building in Long Beach, CA. The private ceremony was followed by a luncheon at the Trump Country Club in Palos Verdes, CA. A celebration and reception will be scheduled in the near future for family and friends. Please join me in congratulating Mr. and Mrs. Mardones. Wishing you both a lifetime of love and happiness! She said "Yes!" Benny Mardones proposes to Jane Braemer on stage at "Love Rocks" in Hawaii on September 25th 2010. Photo Courtesy of Kathy Tschudy. I never knew what true love was until I met Jane. She keeps me happy and healthy every day of my life. Benny truly appreciates the overwhelming demonstration of your love and care for him and his family at this time. Unfortunately, I did not have the pleasure of meeting Ruben Mardones but I have had the absolute pleasure of meeting and/or corresponding with many members of his family. They, too, are remarkable people. I am thankful for him because he gave us all the gift that is Benny. Benny tells me that his Father was a wonderful man and, if his children and grandchildren are a reflection of him, I know that it is the truth. Benny would like to do something special to honor the memory of his beloved Father. If you wish to make a donation in Ruben's memory, Benny would be very grateful if you would donate to U.S.C. Parkinsons Research. Donations sent to the Parkinsons Foundation are not necessarily directed to research for the treatment and cure of Parkinsons but money sent to this fund is. Please make your check payable to: U.S.C. Parkinsons Research. On the memo line please write "In Memory Of Ruben Mardones" or reference Benny's name. Please include, on a separate piece of paper, your name and telephone number and Benny will contact you personally. Benny will gather the donations and present them to Dr. Mark Lew, Vice Chairman of the Department Of Neurology at U.S.C. Hospital...and as Benny says..."the man who keeps me alive". God Bless Dr. Lew! We will post a photograph of Benny and Dr. Lew when this happens.